Oysters are delicious even if you eat them straight from the ocean. However, some people prefer to cook them for consumption. One way to effectively cook an oyster without compromising its freshness is through smoking. 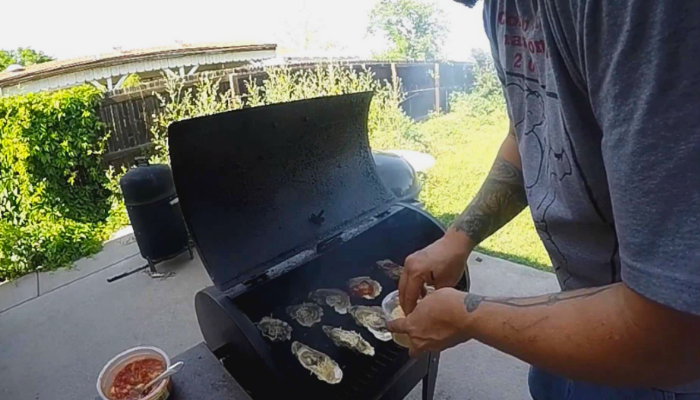 Without further ado, let’s learn how to smoke oysters! The most important tool you have to prepare is the smoker. Then, find two pieces of wood that are effective in inciting and maintaining a fire. The next tools needed are a thermometer for the grill and a pan. If you will hold a gathering or party, it is good if you prepare a dozen of fresh oysters for each guest. 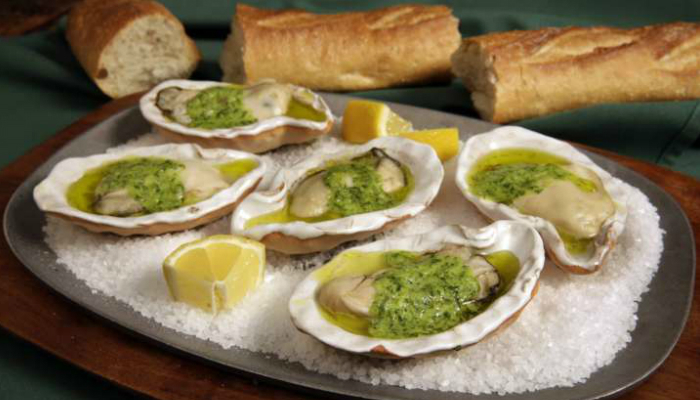 Oysters are so easy to eat that you can fully consume one piece in just a few seconds. We believe that 12 oysters are enough for one person. 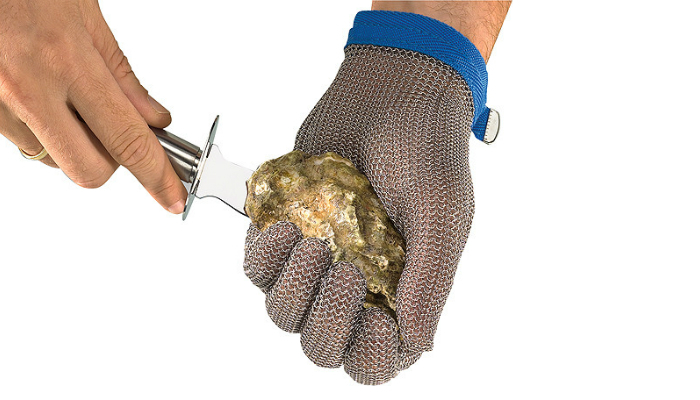 Use a shucking tool for the oysters and steel gloves if you prefer to open them yourself. Lastly, prepare a tray for the smoked oysters for easier serving. Honestly, any smoker can be used for oysters. The factor here, however, is which smoker matches with your skills. You should know how to use the smoker like a pro. Some smokers are complex to control and monitor. 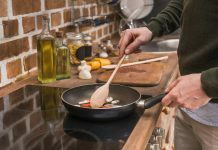 Novice cooks need simpler types. You need to control the temperature well to avoid overheating the oysters. Oysters must not be overcooked. That’s why two pieces of wood are already enough for the whole smoking process. 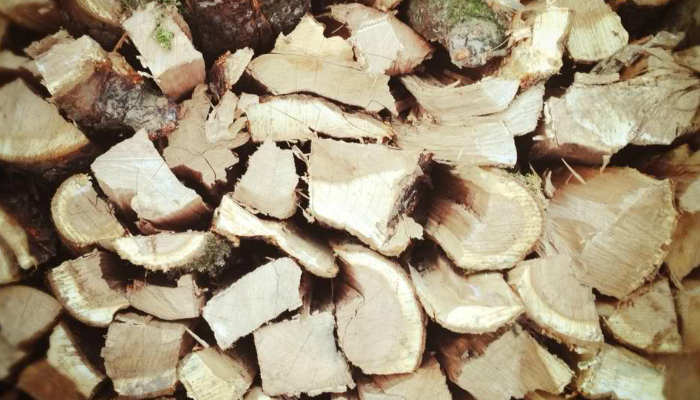 Choose light wood such as peach, apple, and alder for quick smoking. 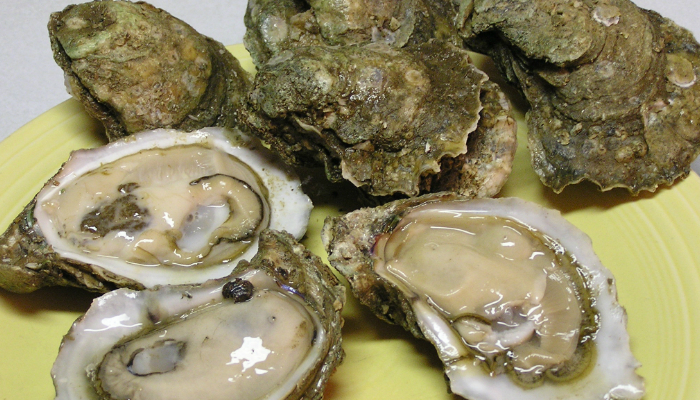 Most of the time, people purchase oysters from local markets or butchers. Make sure to buy fresh ones. To achieve that, ask the seller nicely to assist you in choosing. Or, you may research how to identify fresh oysters. If you want to eat oysters yet you do not have time to cook them, try to find out if the seller can help you with shucking and steaming. 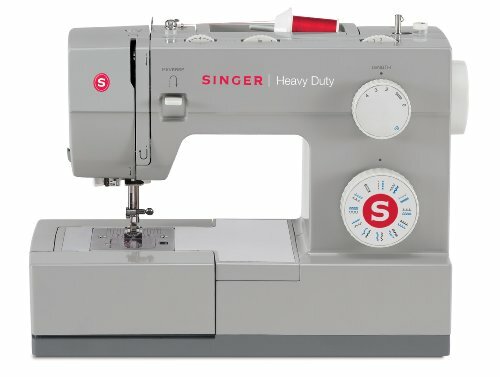 If you are lucky, the seller will even ask you about your preferences and follow all of them. However, if you cook the oysters yourself, you have more control over their taste. When it comes to the ingredients, you can use one stick of butter. Also, you may mince four garlic cloves. To taste a delicious kick of flavor, prepare a hot sauce. Lastly, ensure that you have lemon slices, pepper, and salt for freshness. If you have no idea how to shuck oysters, let the butcher or seller do it for you as soon as you make the purchase. However, if you really want to do it yourself, we recommend shucking the oysters while the fire builds to make use of the waiting time and to maintain freshness before cooking. Use the right shucking tool for an easier time. Place its tip into the oyster’s joint at the back. 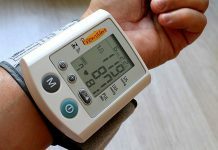 Turn your wrist to maneuver the tool. 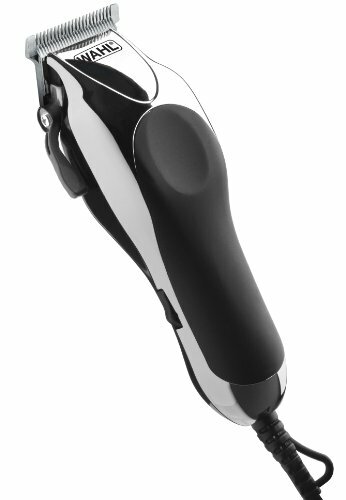 It is okay if you fail to insert the tool into the hard mollusk. Just add more pressure while doing the twist again. Once the tip is inside the oyster, twist it one more time to open the shell. Be careful during the shucking process because of the sharp tool and oyster shell. Buy steel gloves in a supply shop for cooks. Interestingly, do not get excited when you open an oyster too easily. Damaged oysters are so easy to open. Never eat them or you will have a terrible stomachache. After preparing the oysters, proceed to the ingredients. Melt the butter in low heat. While waiting, remove the top cover of every oyster with the shucking tool. Do this smoothly by focusing on the muscle attaching the top and bottom shells. Rinse each oyster with cool water flowing gently from a faucet. Then, place the oysters in a pan that can be used on a smoker. Check your butter again. Make sure that it does not get brown. Add minced garlic and set it for one minute to mix its strong flavor into the mild butter. Sprinkle salt and pepper all over the oysters. Lastly, put one teaspoon of garlic butter on each oyster. Now, check the smoker’s temperature. If it is more than 225 degrees Fahrenheit, follow the ways on how to cool it down. If it is less than the target temperature, wait for a while. 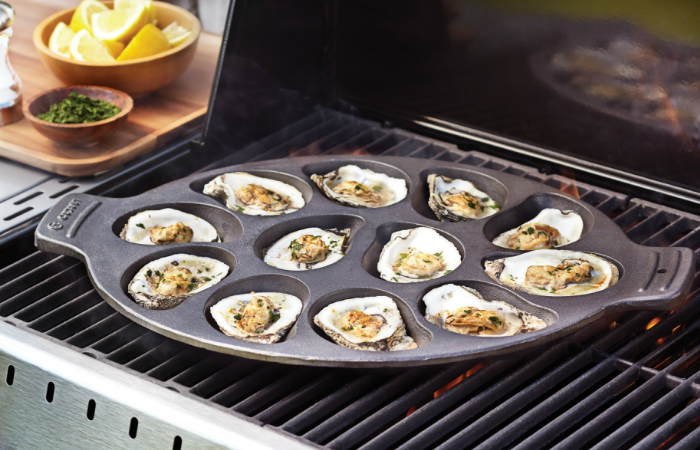 Once you get the right temperature, put the pan filled with oysters on the grill. It needs to be near the thermometer to avoid direct heat. Maintain the level of heat well to finish cooking the oysters after 30 minutes. You will know when the oyster is ready if it is like jello, firm yet a little wiggly. On the other hand, if the butter on top of the oysters starts to evaporate, the fire is exceeding the target temperature. That will lead to overcooked oysters that are chewy. Some oysters are not ready after 30 minutes because of heating problems. When you reach the 30-minute mark with no success yet, check the oysters every 15 minutes. Serve the smoked oysters with lemon slices as garnish and hot sauce for that delightful punch. You can eat smoked oysters with warm French bread. The bread will pair nicely with garlic butter. For a healthier oyster treat, add celery and carrot sticks on the side. Make the vegetables more delicious with ranch dressing. As for the drinks, lemonade and lager are perfect to pair with smoked oysters. Oysters will always be a favorite for most people because they are a delight to eat whether they are raw or cooked. The only risk with eating oysters is stomachache afterwards. That’s why always remember to discard oysters that are too easy to open or shuck. There is also danger while shucking oysters, so make sure to arm yourself with the right tool and protect your hands with the right gloves. A popular type of smoker nowadays is using electricity to operate. You might prefer that over a traditional one. So, take a look at the best electric smokers for beginners and for people who are on a tight budget. Then, make sure you know how to use them in the future.